As a transactional attorney, Fang concentrates on domestic and international mergers and acquisitions, loans and financing, corporate structure and joint ventures, global manufacturing and distribution, and trade compliance. She has significant experience representing a wide range of clients, including public and private companies as well as individuals, startups, emerging companies and large corporations. 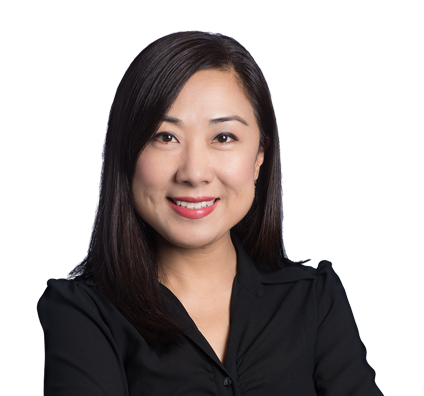 A bilingual and bicultural lawyer, Fang also leads the firm’s Asia Client Services team. She received her legal education in the United States and China. Her unique knowledge regarding the law of both lands enables her to counsel U.S. businesses expanding to China and Chinese companies for their legal needs in the United States. Fang’s China-related experience includes counseling U.S. companies on new operations in China; project financing; acquisitions; joint education programs; sourcing and distribution; and joint ventures and related regulatory matters in China. Represented numerous Chinese investors in acquisitions, direct investments and commercial transactions in the U.S. Successfully represented a Shanghai Company that is leader in the outdoor recreational products industry in its acquisition of a company based in Missouri and related negotiation of incentive package with key management personnel. Represent numerous Chinese investors in its green field development of U.S. subsidiaries, commercial transactions, and dispute resolutions in the U.S.
Lead counsel for a Taiwan company in its acquisition of the majority ownership interest in a U.S.-based distribution business and related restructuring. Serving as Asia counsel for numerous U.S. clients' acquisition or disposition transactions involving Asian entities or assets. Drafting and negotiation of numerous distribution, sales and/or service contracts in China. U.S. compliance and due diligence counsel for numerous IPO projects of Asian companies (with U.S. operations) listing on the Hong Kong Stock Exchange or stock exchanges in Mainland China. Represented a publicly traded real estate investment trust (REIT) in its $25 million investment in real estate development projects in China. Represented a major U.S. service provider in its proposed acquisition of Indian target. Represented U.S. education institutions in establishing education programs or offering educational services in China. Represented U.S. companies in their sourcing agreements or product-development agreements with Chinese suppliers. Counseled numerous U.S. companies in setting up wholly foreign owned enterprises or joint ventures in China. Represented a New York Stock Exchange (NYSE) listed food manufacturing company in its $45 million acquisition by a Korean-owned strategic buyer. Represented a large agriculture cooperative association in its $17 million and $16 million New Markets Tax Credit (NMTC) financing transactions. Advised a grain storage and handling equipment maker in its employee stock ownership plan (ESOP) and related financing transactions. Counseled a food, agricultural and ingredient company in its ESOP and related financing transactions. Represented a large industrial packaging and container company in its registration and operational matters in China. Advised U.S. agriculture equipment companies in sourcing agreements/product development agreements and distribution arrangements in China. Represented AMC Theatres in successfully completing the acquisition of Carmike Cinemas, deal value $1.1 billion. Represented a leading tax return service provider in its $575 million sale of subsidiary to a large accounting firm. Represent numerous education, healthcare, and other 501(c)(3) institutions and local municipalities in tax exempt bond transactions. Represented a large construction company in its $38 million secured credit agreement and $12 million NMTC financing transaction. Counseled a large steel and iron casting company in its $110 million acquisition by a private equity firm. Lead counsel for a large industrial company in its negotiation of a comprehensive online services agreement with Microsoft Corp., which covers multiple services and affiliates. Represent several startups and early stage companies in their corporate structure, seed round and series A, B fund raising, and incentive programs. Fang's bio can also be found translated into Chinese.